Where is the quickplay stuff? Is it quickplaydialog.res? SevinWhere is the quickplay stuff? Is it quickplaydialog.res? [quote=Sevin]Where is the quickplay stuff? Is it quickplaydialog.res? Okay, so I can't find my original post, but I posted a little while back asking if anybody knew where to find the file that changes the general confirmation dialog that appears in game. For example: removing a killstreak. Turns out I just found that file inside Half Life 2's files and not inside TF2's files. It's called confirmdialog.res (link's a pastebin) and it goes inside the resource/ui/econ folder. Just thought I'd post this, just in case anybody else was looking desperately for it. EDIT: Similarly, there's another file that controls certain dialog boxes that isn't included in TF2's files either. This file is called messageboxdialog.res and it goes in the same folder as the confirmdialog.res file. It controls dialog boxes that only have a confirmation button, such as trying to cast an enternaween while not connected to a server. Turns out I just found that file inside Half Life 2's files and not inside TF2's files. It's called [url=http://pastebin.com/gkkGmnb4]confirmdialog.res[/url] (link's a pastebin) and it goes inside the resource/ui/econ folder. [b]EDIT:[/b] Similarly, there's another file that controls certain dialog boxes that isn't included in TF2's files either. This file is called [url=http://pastebin.com/8CtRGvS7]messageboxdialog.res[/url] and it goes in the same folder as the confirmdialog.res file. It controls dialog boxes that only have a confirmation button, such as trying to cast an enternaween while not connected to a server. hi guys, i've been using rayshud for almost a month now, and i wanted to disable the start-up changes on the game, like the wallpaper, etc. i realized i only want the in-game changes(health,ammo etc). can someone give me a hand with this. thanks! That would be quite a lot of work to do. If you want everything but in-game to be default, you'd have to delete tons of files and rearrange your clientscheme.res to remove all the necessary fonts to make your menus etc. default. You don't want to do that. SevinThat would be quite a lot of work to do. If you want everything but in-game to be default, you'd have to delete tons of files and rearrange your clientscheme.res to remove all the necessary fonts to make your menus etc. default. You don't want to do that. thanks for the reply. well all i wanted to see was the default homescreen. what do i need to delete from my hud folder to set it to default? jpxthanks for the reply. well all i wanted to see was the default homescreen. what do i need to delete from my hud folder to set it to default? Delete the console folder out of the materials folder. What borders in the clientscheme control these backgrounds? Sevin jpxthanks for the reply. well all i wanted to see was the default homescreen. what do i need to delete from my hud folder to set it to default? jpx Sevin jpxthanks for the reply. well all i wanted to see was the default homescreen. what do i need to delete from my hud folder to set it to default? No, you'd still have to go into the clientscheme and manually change all the fonts mainmenuoverride uses to default if you wanted to do that. Can I move the MGE hud element? I have my chat over there, so I'd like to move it down or to the side or something. Also, is there a way to change its font? ColdBallsCan I move the MGE hud element? I have my chat over there, so I'd like to move it down or to the side or something. Also, is there a way to change its font? Open resource/ui/basechat, find the "HudChat" section and edit ypos to 55. This sets the chat box exactly below the MGE opponents. Is it possible to use the "event DamagedPlayer" crosshair flasher indicator thing when using the achievement tracker crosshair switcher for different classes/weapons? BlungoHow can i make a gray line under my health and ammo? Also trying to move where the numbers of when i pick up health will show up. And even more trying to change my killstreak counter to remove the border from the stock killstreak in the original hud of tf2, and move it over to the health. Like in this video https://www.youtube.com/watch?v=2nBZpZ5qHs8. Thx after this I can completely release woolens hud, thx! Copy & paste this in HudPlayerClass.res (or HudPlayerHealth.res doesn't matter). Mess around with the xpos/ypos and tall/wide till it suits you. "fillcolor"	"128 128 128 255"
The numbers for health pickup should be in "hudlayout.res" inside it search for "CHealthAccountPanel" Mess with the xpos/ypos, hurt yourself, grab a medpack, see where it is and repeat till it's where you want it. There's also a file called "HudHealthAccount.res" in the ui you can mess with the "delta_item_start_y" and "delta_item_end_y" if you want it to go up or down or stand still. And for the killstreak (hopefully what you're looking for is the background) it's in "HudItemEffectMeter_Killstreak.res" inside look for "ItemEffectMeterBG" set the visible and enabled to 0. For positioning mess with the xpos/ypos that's "HudItemEffectMeter" that's above the "ItemEffectMeterBG". Reply if there's anything else you need. [quote=Blungo]How can i make a gray line under my health and ammo? Also trying to move where the numbers of when i pick up health will show up. 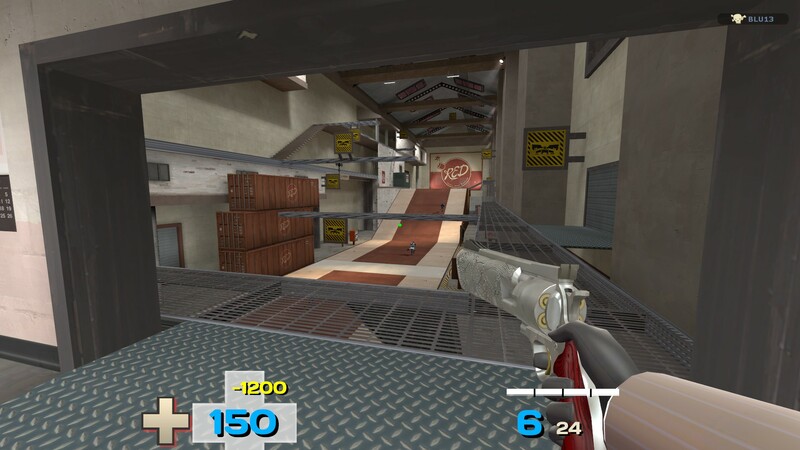 And even more trying to change my killstreak counter to remove the border from the stock killstreak in the original hud of tf2, and move it over to the health. Like in this video https://www.youtube.com/watch?v=2nBZpZ5qHs8. f_blue ColdBallsCan I move the MGE hud element? I have my chat over there, so I'd like to move it down or to the side or something. Also, is there a way to change its font? Open resource/ui/basechat, find the "HudChat" section and edit ypos to 55. This sets the chat box exactly below the MGE opponents. That's not exactly the point. I like where the chat is right now, so I'd like to change MGE's positioning stuff. How to get the overheal flash around the health?? Bush-Dog BlungoHow can i make a gray line under my health and ammo? Also trying to move where the numbers of when i pick up health will show up. And even more trying to change my killstreak counter to remove the border from the stock killstreak in the original hud of tf2, and move it over to the health. Like in this video https://www.youtube.com/watch?v=2nBZpZ5qHs8. [quote=Bush-Dog][quote=Blungo]How can i make a gray line under my health and ammo? Also trying to move where the numbers of when i pick up health will show up. 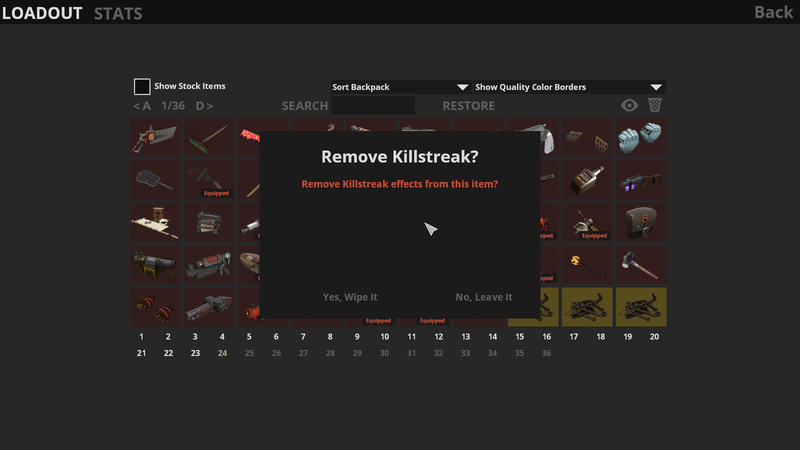 And even more trying to change my killstreak counter to remove the border from the stock killstreak in the original hud of tf2, and move it over to the health. Like in this video https://www.youtube.com/watch?v=2nBZpZ5qHs8. CoolMaxSUpremeHow to get the overheal flash around the health?? [quote=CoolMaxSUpreme]How to get the overheal flash around the health?? Blungo Bush-Dog BlungoHow can i make a gray line under my health and ammo? Also trying to move where the numbers of when i pick up health will show up. And even more trying to change my killstreak counter to remove the border from the stock killstreak in the original hud of tf2, and move it over to the health. Like in this video https://www.youtube.com/watch?v=2nBZpZ5qHs8. Reply if there's anything else you need. Uhh cant seem to get it working for the unduerlines, can i send u my whole hud? Have you tried setting it in order like the other ones in it? Put some spaces for it to match the others. [quote=Blungo][quote=Bush-Dog][quote=Blungo]How can i make a gray line under my health and ammo? Also trying to move where the numbers of when i pick up health will show up. And even more trying to change my killstreak counter to remove the border from the stock killstreak in the original hud of tf2, and move it over to the health. Like in this video https://www.youtube.com/watch?v=2nBZpZ5qHs8. Secondly, is there a way to make the tournament mode ready panel go away when pressing tab so it doesn't overlap the time left or i really need to move the server time left? Blungoyes... can i send you it? Sure, is there anything else you need in particular or is it mainly that? Is there anything else I have to do besides copying the new content from MainMenuOverride.res to get the View Leaderboards button for ducks? I currently see the button but I can't actually click it. Is it possible to use ABCD or 1234 to switch between loadouts in the loadout menu, in the same way that A and D can be used to navigate through backpack pages? Tanks in advance. DrJeremyIs it possible to use ABCD or 1234 to switch between loadouts in the loadout menu, in the same way that A and D can be used to navigate through backpack pages? Tanks in advance. Yes, there's a command for that, can't remember it at the moment though. [s]For some reason my HUD just won't let me edit the Demoman's Pipe Label it has simply disappeared from view, it was working fine then I restarted my game and it's gone. The charge meter is still somehow there and at this point I have no idea what to do.